Garlicky, tomatoey, and oh-so-hearty (especially for vegetarians), this dish will have you begging for more with each and every bite. ‘Bi zait’ meaning ‘in oil’ encompasses a group of middle-eastern ‘mezzes’ or side dishes that are cooked in oil. 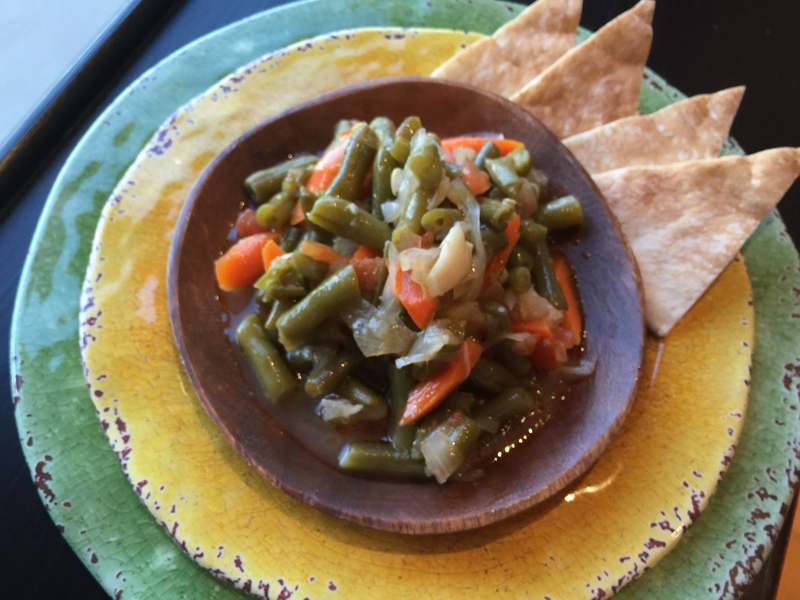 Serve along with warmed pita bread for a dish that will warm your soul. 1. Heat peanut oil & 2.5 tablespoons olive oil in a large saucepan over medium heat. Add onions and garlic cloves. Continue to cook on medium heat for 10-15 minutes until translucent but not browned, stirring occasionally. Add carrots and continue to cook for 2-3 minutes. 2. 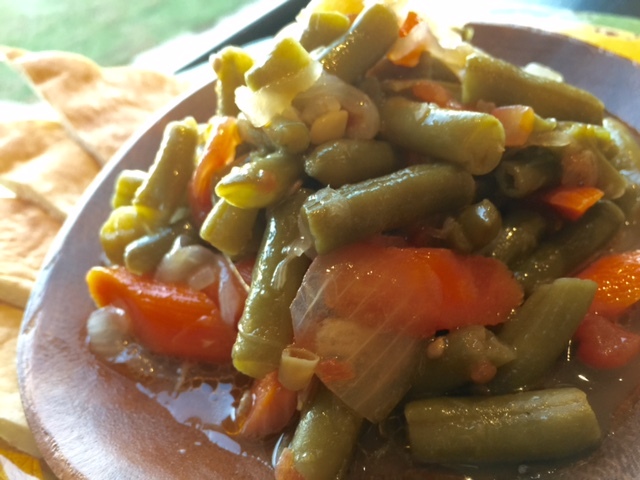 Add green beans and increase to high heat. You will start seeing the green beans become more of a vibrant green. Continue to cook for 3-5 minutes, stirring occasionally. Add tomatoes and mix well. Add cinnamon stick to mixture and reduce heat to medium. 3. Add 1.5-2 cups of water to saucepan—just enough liquid to cover the mixture. Cover and cook for 10-15 minutes, and then uncover pot slightly for a final five minutes. Season with salt. 4. Serve on a plate at room temperature along with pita bread, and top off with ½ tablespoon olive oil. Serve with warmed pita bread. Mmm looks and sounds delicious!